Sound the bugle, uncork the champagne and lay out the red carpet for the newly arrived Rosa a.k.a. Linux Mint 17.3. Not content with offering an excellent, rock-solid distribution in Linux Mint 17.2 a.k.a Rafaela for free, Linux Mint developers have now put out an upgrade with a Christmas bag full of goodies. Something is seriously wrong with Linux Mint’s Project Manager Clement Lefebvre and his team! I can’t handle so much goodness! 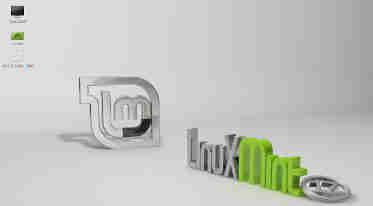 The new release, Linux Mint 17.3 a.k.a Rosa, is available in both Cinnamon and Mate editions. Linux Mint 17.3 is a long term support release, which means we freeloaders will be supported and receive security updates until 2019. Built on the Ubuntu 14.04 package base, Linux Mint ‘Rosa’ Cinnamon edition features Linux kernel 3.19, Cinnamon 2.8 and MDM 2.0 display manager. Both 32-bit and 64-bit versions of Linux Mint 17.3 are available. You can download Linux Mint 17.3 (Cinnamon or Mate editions) at the Linux Mint web site. Go ahead, get Rosa on your laptop or desktop and take her for a spin. I bet you’ll be more than pleased. Linux Mint 17, 17.1 or 17.2 users wanting to upgrade to Linux Mint 17.3 should wait for a few days until a new version of Update Manager is released. A big Thank You to Clem and the Linux Mint team! How to Shut Down or Reboot Linux from Command Line What are Guest Additions?